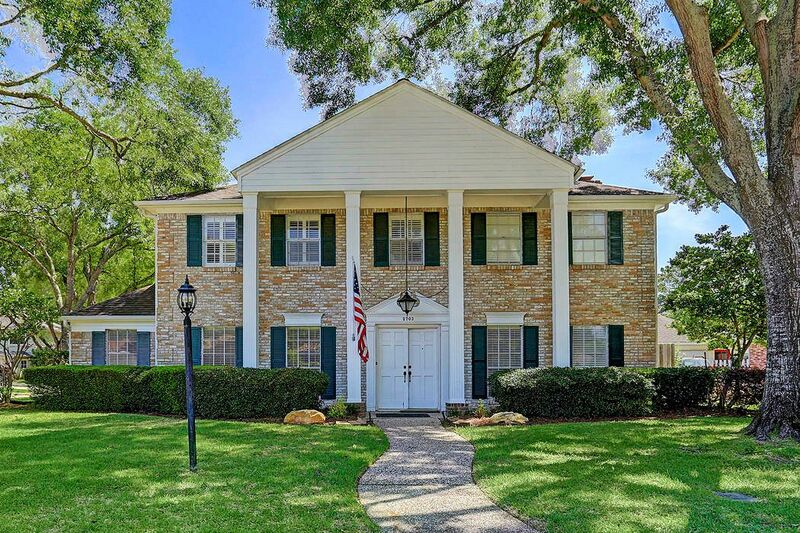 2703 West Pebble Beach Drive, Missouri City, TX 77459 | Martha Turner Sotheby's International Realty, Inc.
Sophisticated and majestic, the stately front exterior of the home is truly breathtaking. Gorgeous mature trees surround the lot and provide great shade. Fabulous corner lot with RARE 3 car garage and oversized driveway. Beautiful tree lined streets throughout this quiet neighborhood. 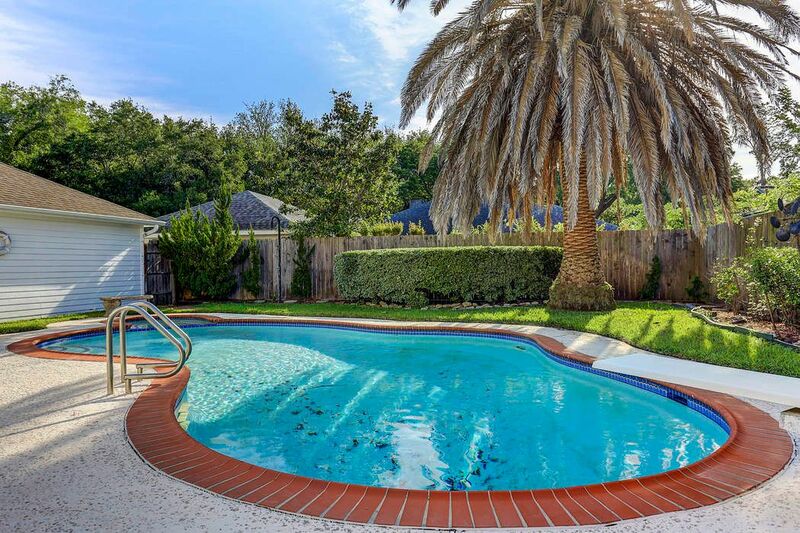 Gather around this sparkling salt water pool with friends and family. Just in time for summer! 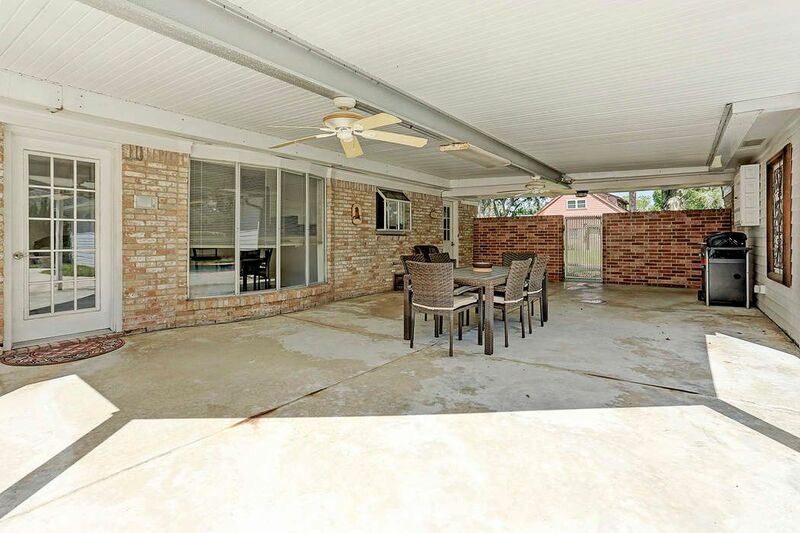 In between the 3 car garage and house is a HUGE covered area, great for entertaining and hiding from the sun. Imagine all of the crawfish boils, bbq grilling and birthday parties that can happen here. Upon entering the front double door, a spacious entry greets your guests. To the right is a formal living room and to the left is the formal dining room. 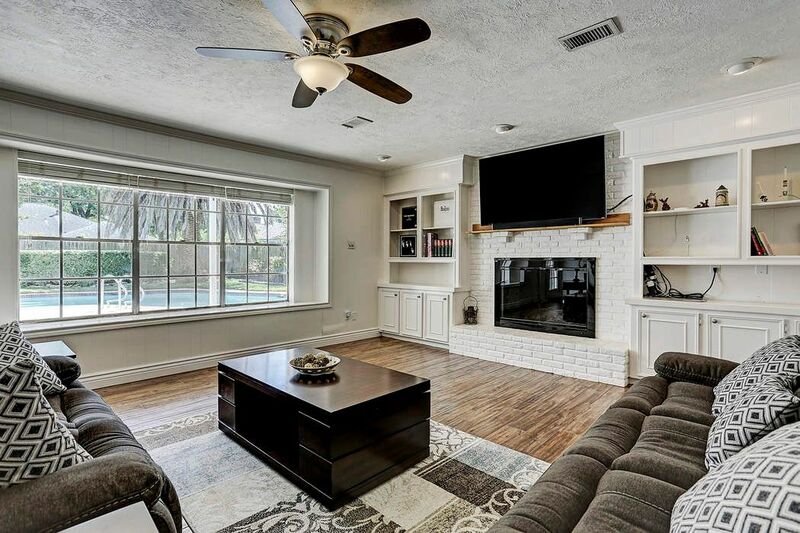 This massive den is perfect for game night or watching the Astros, Rockets and Texans! This 21x17 room is big enough to fit a large crowd and great for entertaining. The opposite side of the den shows the back entrance to the yard and the breakfast room right behind. 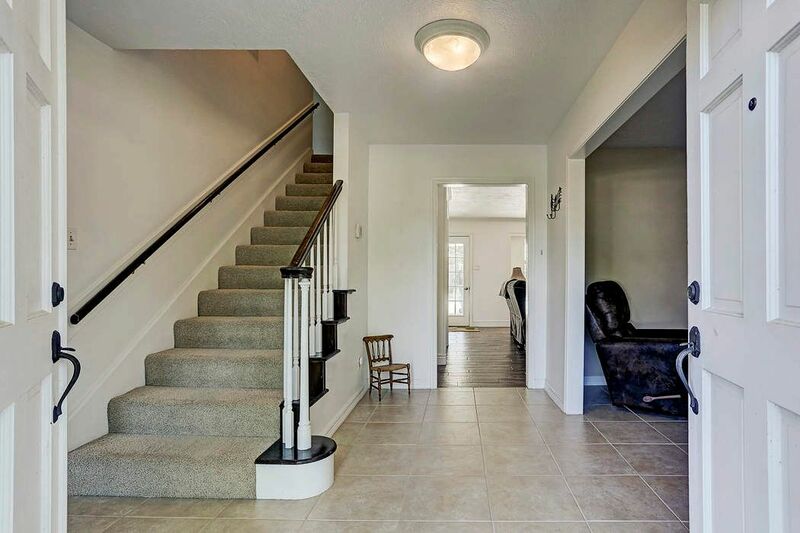 Updated tile flooring in this room provides easy maintenance. Behind the folding doors is a dry bar with great storage. The breakfast room is located right off the kitchen and the den. Panoramic windows bring in fantastic natural light. 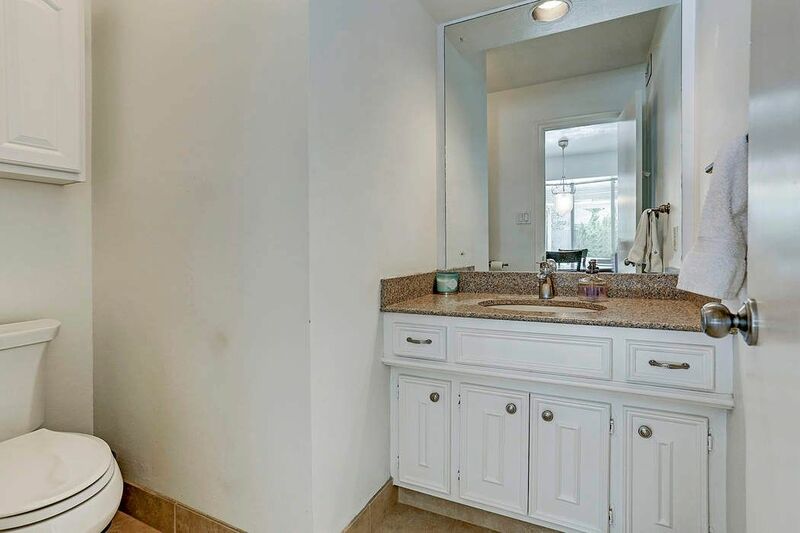 To the left is a powder room. This side of the kitchen shows the stainless steel dishwasher, and the absolutely charming garden window that overlooks the patio. 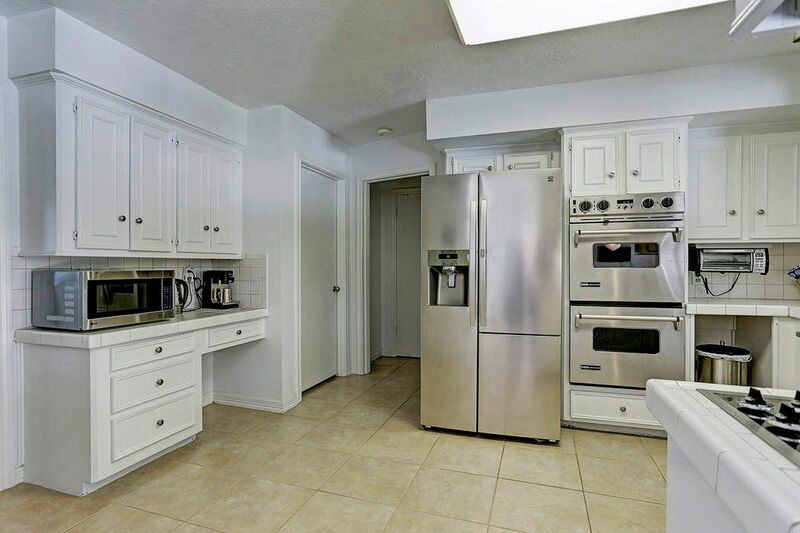 This 16x11 kitchen has a built in desk, stainless steel appliances and fantastic double ovens. 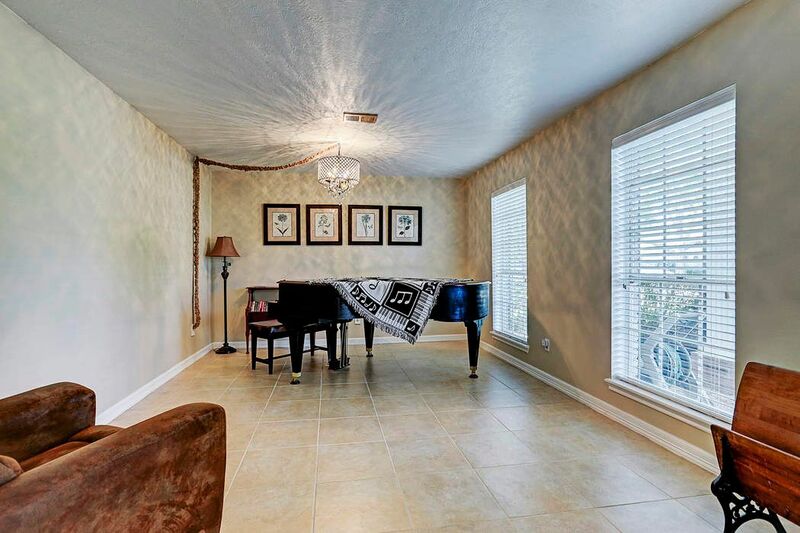 At the front of the house is this 16x12 formal living room which the owners have used as a music room. The space is incredibly spacious, so it is versatile and can be used for many functions like a game room or music room. At the front of the house, connected to the kitchen is the formal dining room with lovely chandelier. 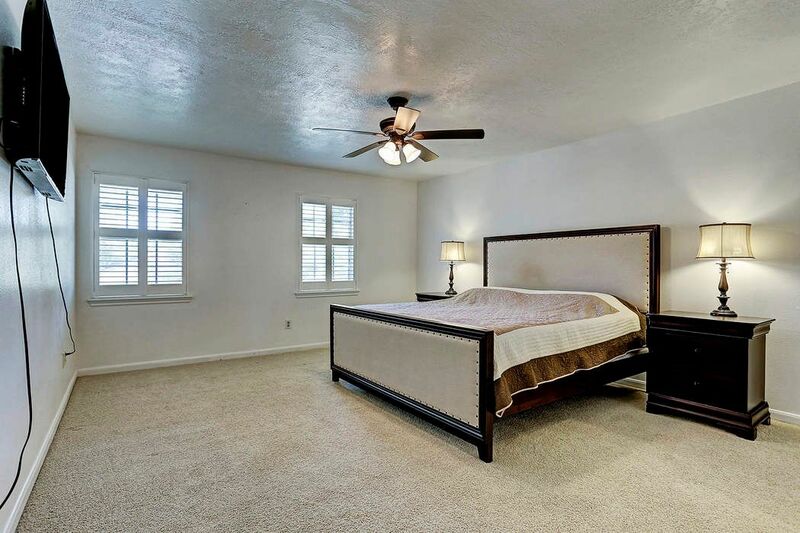 This serene upstairs master bedroom with en suite bath is 16x14! 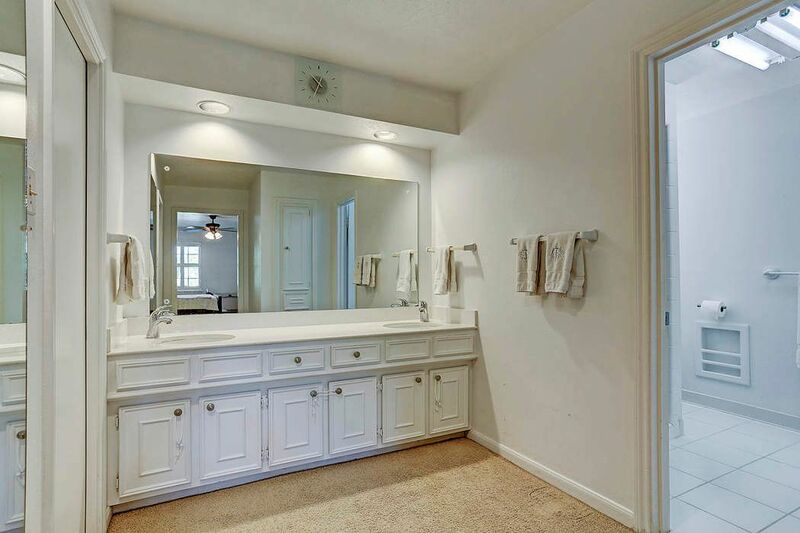 Charming plantation shutters, neutral paint and plenty of room for dressers and furniture. Master en suite bath has double sinks, and a separate room that house the shower. To the left there are double walk in closets with ample room for clothes. 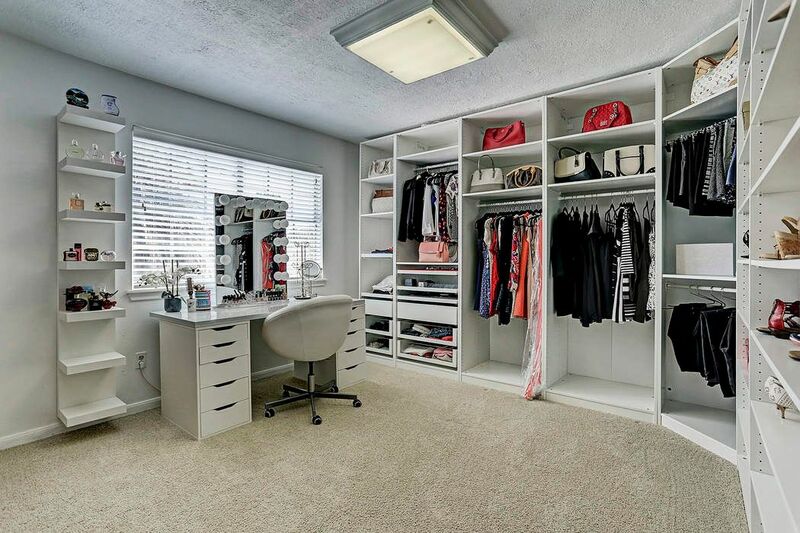 This dazzling bedroom has been turned into a dressing room. Storage shelves are removable, but also can be negotiable. This is the largest of the three secondary bedrooms at 14x12. 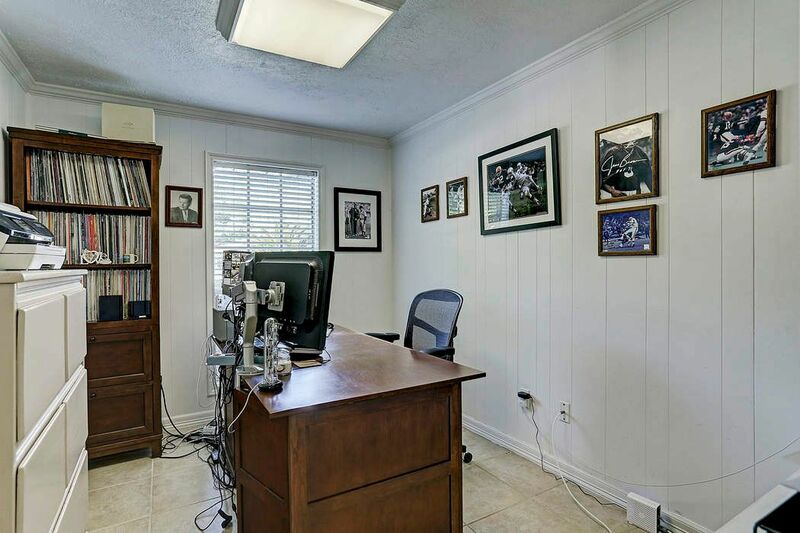 In the corner there is a built in desk. Ample room in here. 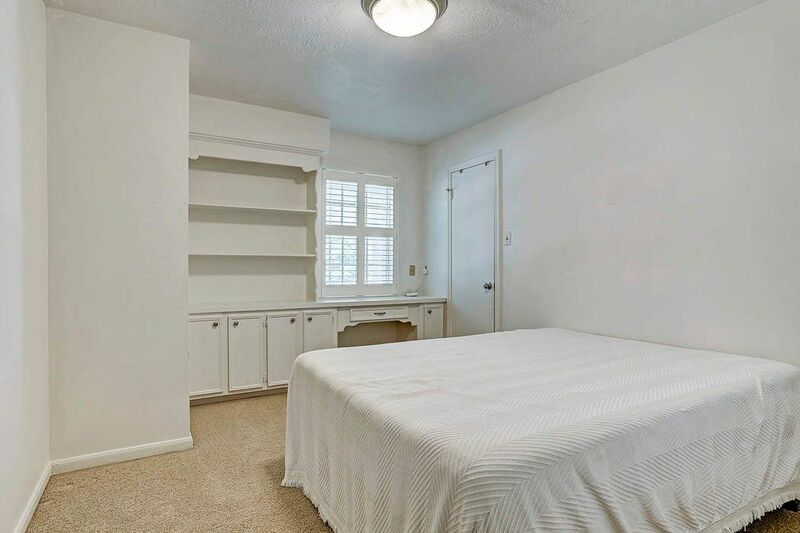 Another secondary bedroom with adorable built in desk, drawers and cabinets for storage. Immaculate secondary full bath located by the secondary bedrooms. Counters have been updated to granite. 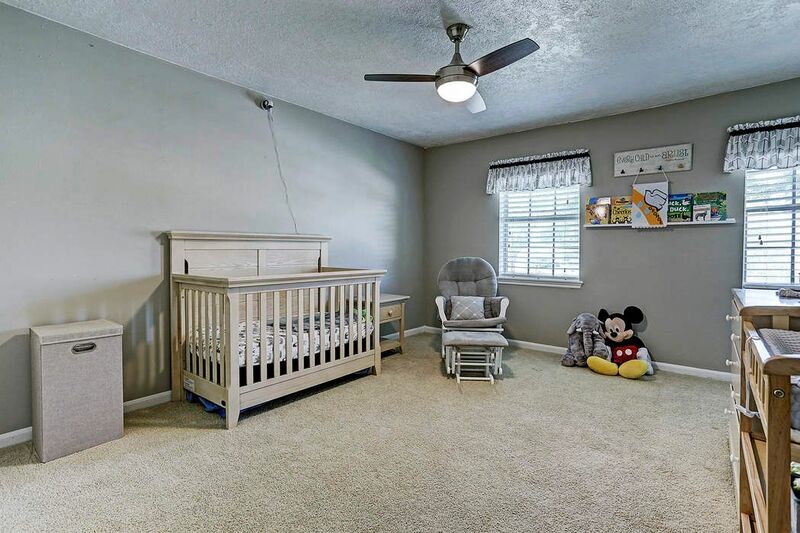 On the first floor nearby the utility room is the additional bonus room which is used as a study. On the right side is a convenient built in bookshelf with cabinet space. This could be used as a study or even as a hobby room. 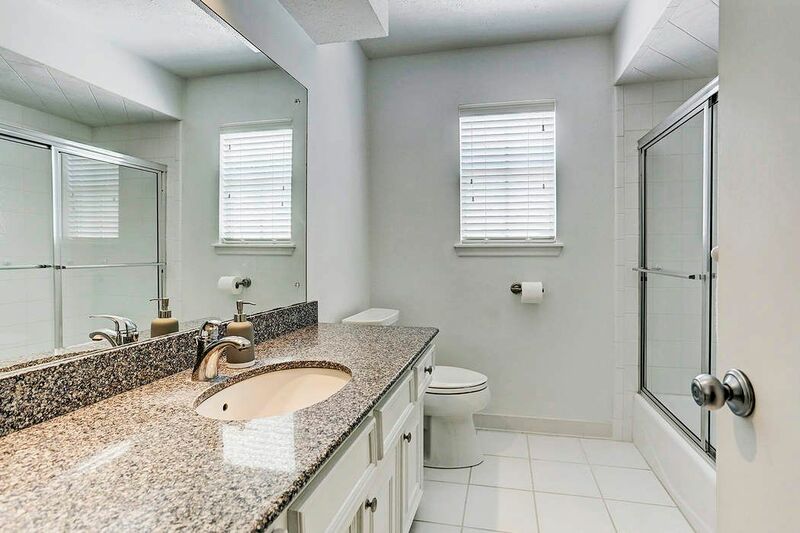 The roomy powder room located on the first floor has granite countertops and brushed nickel hardware. 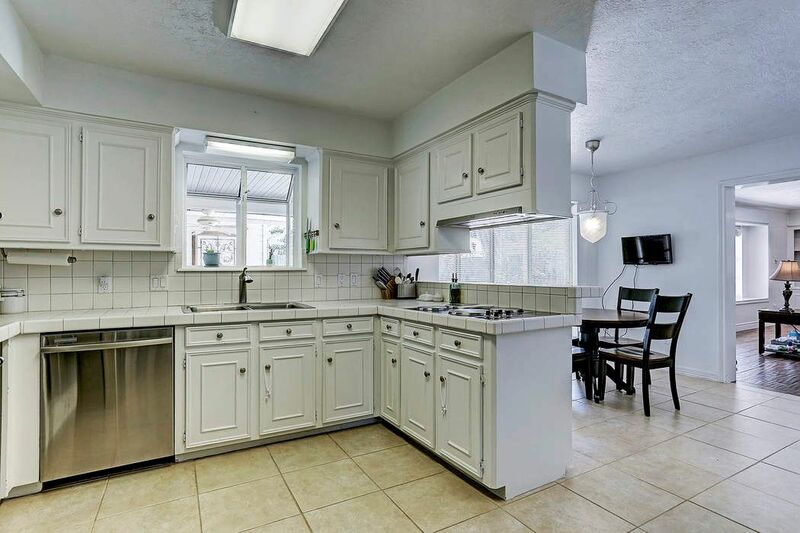 $279,000 4 Bedrooms2 Full Baths2,763 sq. ft. 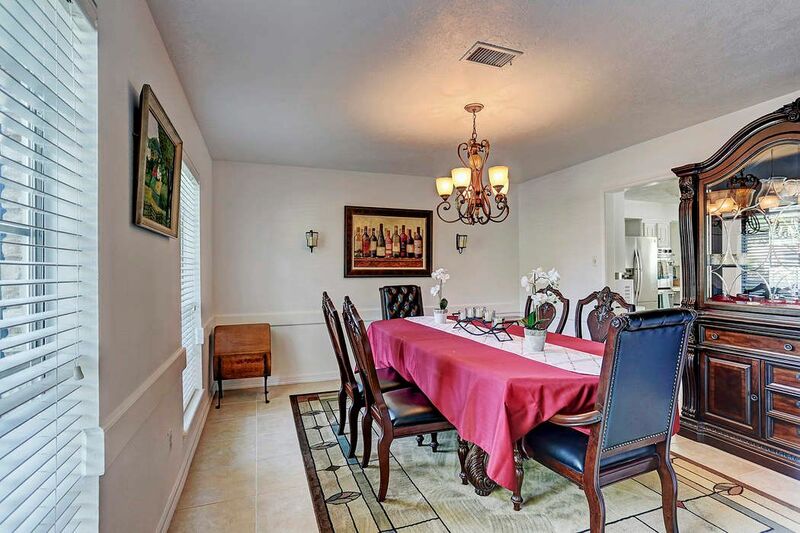 Stunning two story home on a massive corner lot with a three car garage in Quail Valley. Enter through the majestic front exterior with gorgeous neoclassical style architectural columns. 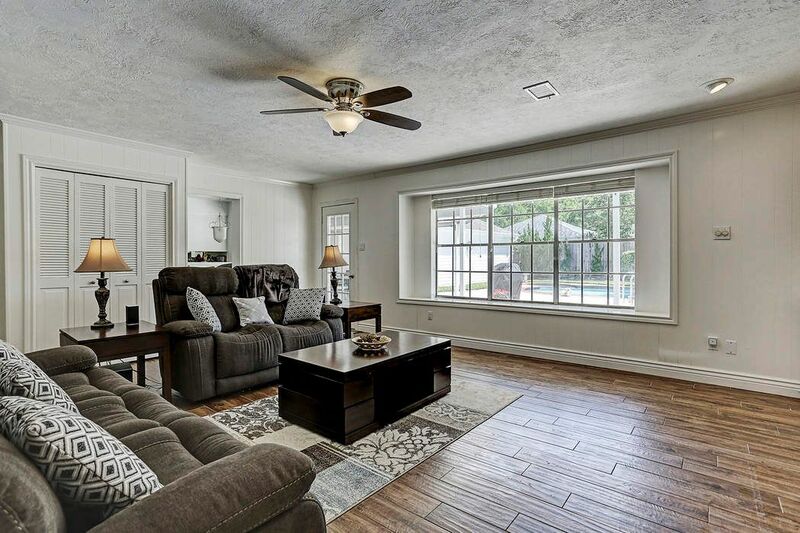 With four incredibly spacious bedrooms, two full and one half baths, and additional study, this immaculate home is truly remarkable with tons of updates. Some updates include: hardiplank siding, roof (approx. 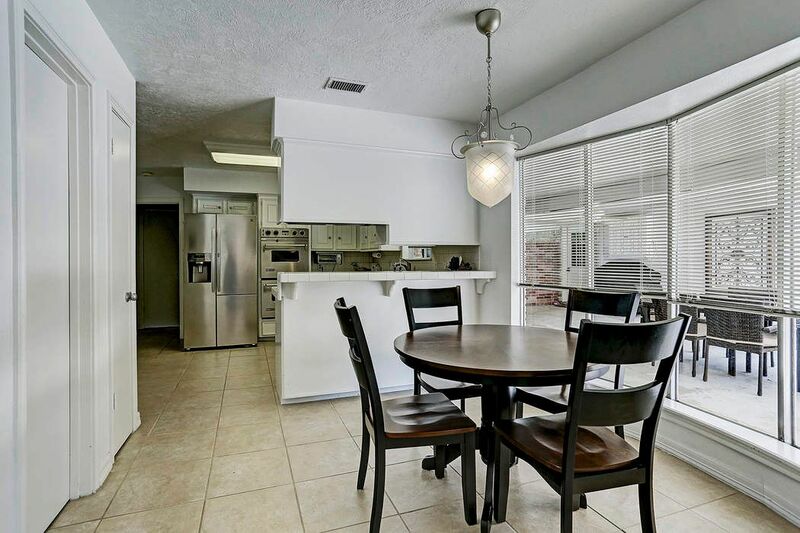 9 years old), HVAC, all tile flooring on the first floor, stainless steel appliances, and much more. 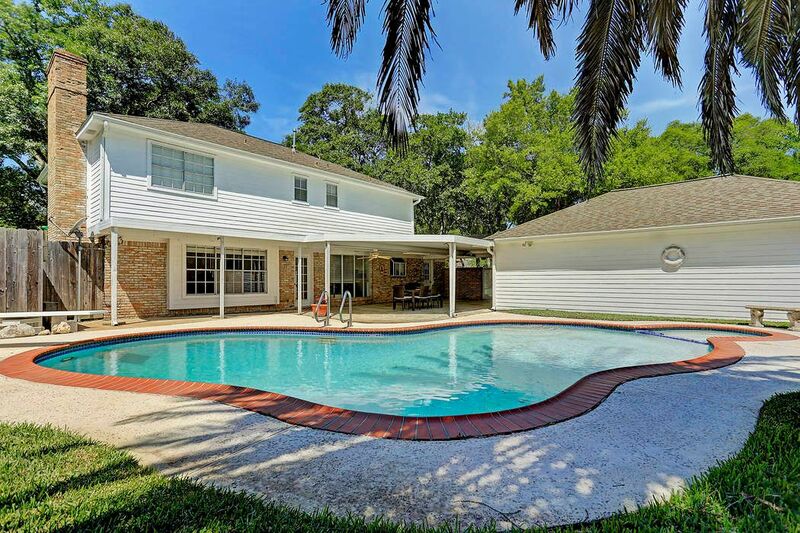 Cool down from Houston’s scorching summers in the luxurious saltwater pool with outdoor shower and enjoy barbecue gatherings with friends and family under the expansive covered patio. 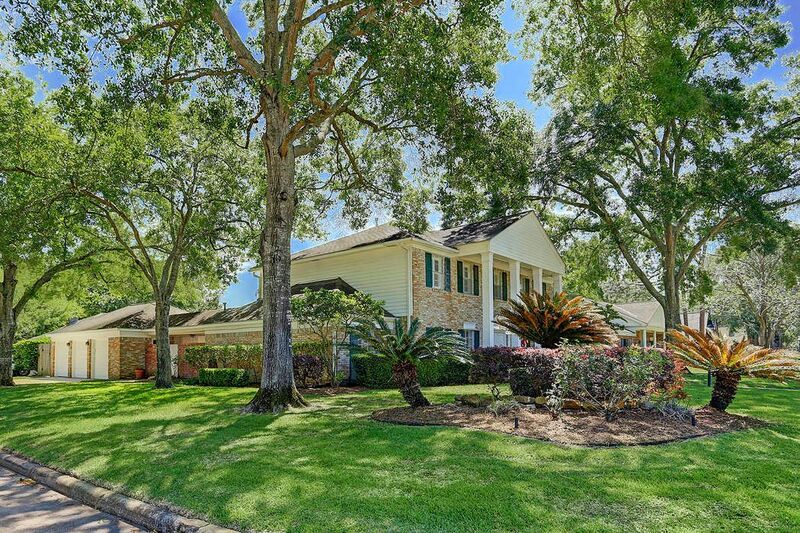 Fantastic highly sought after Quail Valley neighborhood with a country club and golf course.